Strategic planning is the systematic process through which an organization creates a strategy to determine the way it plans to progress from its current reality to a desired future state. 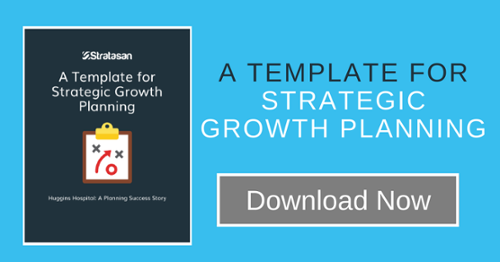 The plan identifies growth priorities specific to your organization, outlines a vision for your future, and establishes a roadmap of actions to reach that desired future. Goal setting is part of that final step, the roadmap if you will. It begins after your mission and vision statements have been solidified and your strategic plan is in place. When you start goal setting with your strategic plan and future vision in mind, you can then work your way back and set goals to accomplish your plan. Identify specific, measurable initiatives you can accomplish. This will allow for breakthroughs and wins throughout the year versus the nebulous state of wondering whether or not the team is on the right track. This kind of “future back” way of planning, as outlined by Innosight, enables you to open the way forward — to imagine new models and practices for the future of your organization that can be tested today. Specific - What exactly do you want to accomplish? Consider your answer in the context of the five Ws: who, what, when where, and why. Your answer to this question can serve as the thesis statement for your goal. It should be targeted; leaving the goal too broad makes it harder to know if and when you’ve achieved it. For example, if your goal is improved patient experience, what methods of capturing feedback information do you need to have in place to measure your success? Who is responsible for compiling and sharing those metrics? Attainable - Are your goals within your team’s and organization’s scope? Having some key data metrics in place will help you to understand if what you hope to accomplish is actually something attainable for your organization. What tools, skills, data points, and buy-in are needed to achieve your goals? For example, if the goal is to increase cardiology volume by X% in your facility, you would need to know if you have the staff, the community need, and the physical resources to achieve this goal. Relevant - The strategic planning goals you set for your team should align with the organization’s overall mission statement and broader goals. If you work at a children’s hospital, a strategic goal of increasing services for the post-retirement population probably wouldn’t make much relevant sense. Relevance can also be related to the scope of your work. If your team is responsible for business development, it’s important to think of the role BD plays in your particular organization and to align your goals with your job function accordingly. Time-bound - Setting clear deadlines and time frames for your goals helps attach a sense of realistic timing. Within an overall goal, milestones can be set, and tracking toward a desired future is possible. Time constraints also create a sense of urgency and accountability. If your goal is to complete a Community Health Needs Assessment (CHNA), for example, it is important to create a timeline for completion to ensure you meet the IRS requirement on time. Not completing a CHNA on time can have severe ramifications. You may still be hanging on to your personal New Year’s Resolutions, or you may have already let them go. The folks at Stratasan won’t judge you either way. 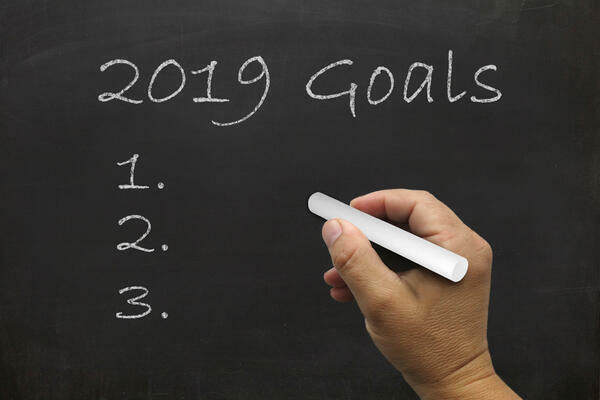 However, if you are part of a team looking to accomplish your strategic plan in 2019, goal setting — not resolution making — is the way to go. At Stratasan, we recognize this isn’t always easy. If your team could use help with creating SMART goals that are viable and relevant to your strategic plan, we can help. Stratasan’s Strategic Advisory Services offer the perfect partnership to independent hospitals or small systems looking to grow. Our team of experts can assist with everything from facilitating a one-off strategy session, conducting a physician needs analysis, executing CHNAs, or working with you to fully develop your strategic plan. For more information on how we can partner with you to define and reach your 2019 goals, schedule a discovery call today.